Sous vide has been gaining populatity with home cooks. It’s a relatively simple method that can easily be used at home to improve your favorite meals, remove unnecessary stress from cooking. 1. Helps prevent heat loss, lower energy loss during cooking, safe to 225°F. 2. Allow you to cook water for hours without refilling. Due to the surface exposure between the water and air, water hardly evaporates during the cooking process. 3. No more lids-Acts as lid to reduce the danger of splashing but allows easy access to contents of all shapes and sizes. 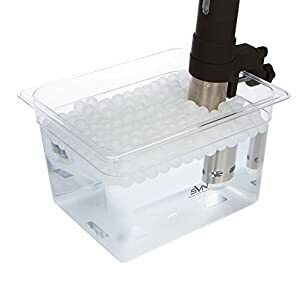 Compatible with Anova, Nomiku, Gourmia, Sansaire, PolyScience Sous Vide Controller and other professional sous vide cookers. 4. 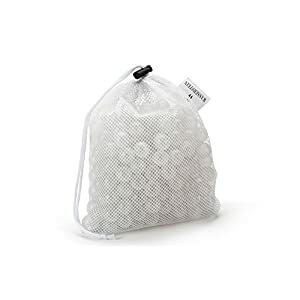 Packed in practical mesh bag-facilitates the drying process after using and easy storage. 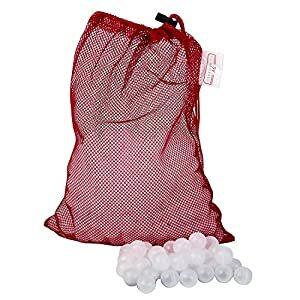 You could put all the balls into the bag and hang the bag at anywhere. 5. 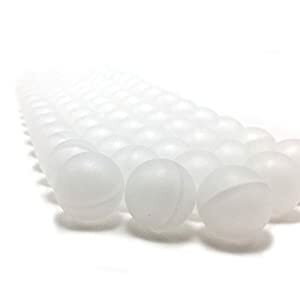 From a 1 gallon container to a 5 gallon container, your sous vide water balls can cover the water from corner to corner with 1 or 2 layers, to keep the heat around your food. 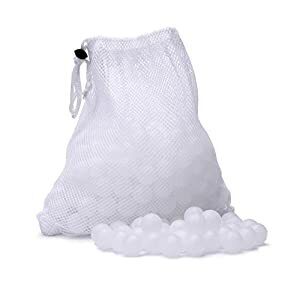 Add to Cart NOW and GET Life time money back Guarantee! 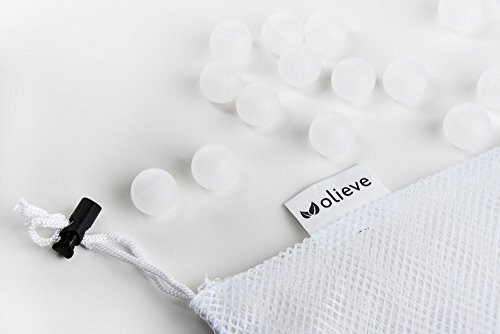 ✔️ YOUR PERFECT SOUS VIDE BALLS -Our Sous Vide Ball are perfect for Sous Vide Cooking! They help prevent heat loss and reduce evaporation by up to 90% with any pot or container. ✔️ OUR QUALITY – 100% BPA free, FDA Approved! Completely safe materials that contain polyethylene to ensure a healthy cooking process. 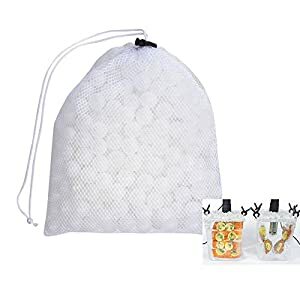 COMPLETELY NEW PREMIUM QUALITY PRODUCT FROM 2018. ✔️ OLIEVE’s THE SMARTEST SYSTEM – Protect your heat and Reduce evaporation with our smart product. 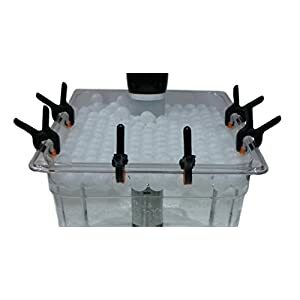 Improves energy efficiency to keep the water as the same temperature. 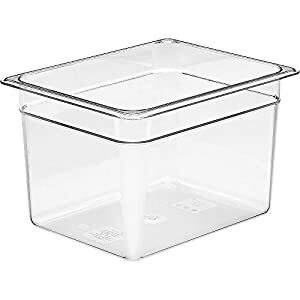 And You don’t need to find right size lid of your container. 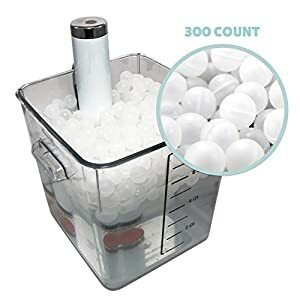 ✔️ FREE BONUS – 10 COUNTS MORE & 4 PC OF PREMIUM SOUS VIDE CLIPS – We decided to provide more balls to increase efficiency! AND We totally understand how annoying it can be to have sous vide ball without SOUS VIDE CLIP. 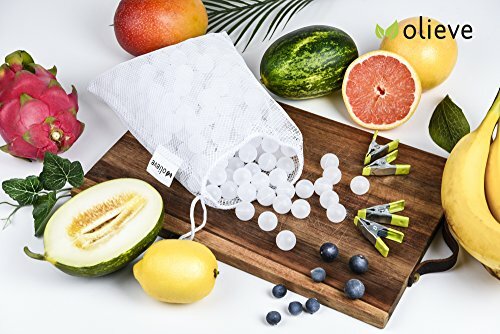 So we took the time to design our PREMIUM GREEN COLOR CLIPS that fits ideally on your kitchen.10 ADDITIONAL BALLS and 4 PREMIUM SOUS VIDE CLIPS – Purchase now and recieve additional 10 extra balls! Alos receive our PREMIUM GREEN COLOR CLIPS! 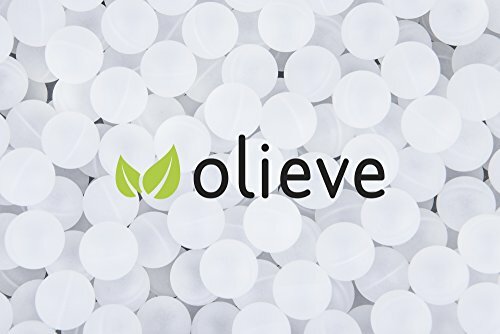 ✔️ LIFETIME WARRANTY – Olieve offers a lifetime warranty on our products. 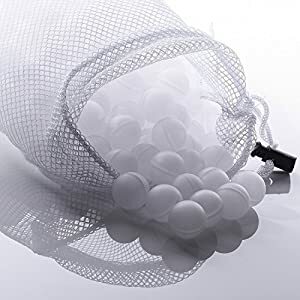 We are confident that you will love our Sous Vide Cooking Balls! If for whatever reason you are unsatisfied with our products, ship the items back to us and we will offer a full refund at any time.